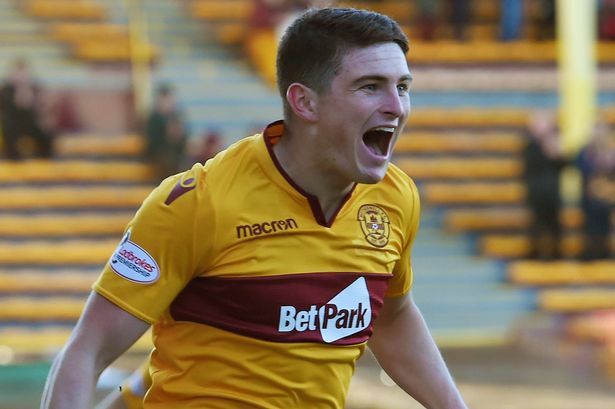 In a wide-ranging pre-Old Firm presser, Steven Gerrard has effectively confirmed Motherwell winger Jake Hastie is an imminent signing by refusing to comment whatsoever on the story at all. The rising star at Fir Park has been a revelation this calendar year with 6 goals/assists in 9 league appearances, and media reports claimed the 21-year old was a done deal to join Gerrard, something Rangers’ manager symbolically confirmed with his response to the story. Previously when talking about transfer targets Stevie would either reject nonsense stories or say he was unable to talk about players with other teams, but his refusal to reject this story implies the deal is on the verge of being completed and Hastie will be his first summer signing come the opening of the transfer window. With Ryan Kent’s future up in the air, and Jordan Jones already secured, attention, while still focused on this campaign, now turns in earnest to next, and it appears Rangers are active in bringing in new talent as quickly as possible. And if the story is indeed correct, and Gerrard’s response implies it may well be, Hastie will be part of that new talent. Kind of implies that Kent will not be with us next season. Murphy, Jones and Middleton on the left and Candeias, Hastie and Atakayi on the right is plenty to be going on with. Hope they have got Halkett on a pre contract too. And yet we haven’t said what your post claims. We’ve quoted nothing in this article.